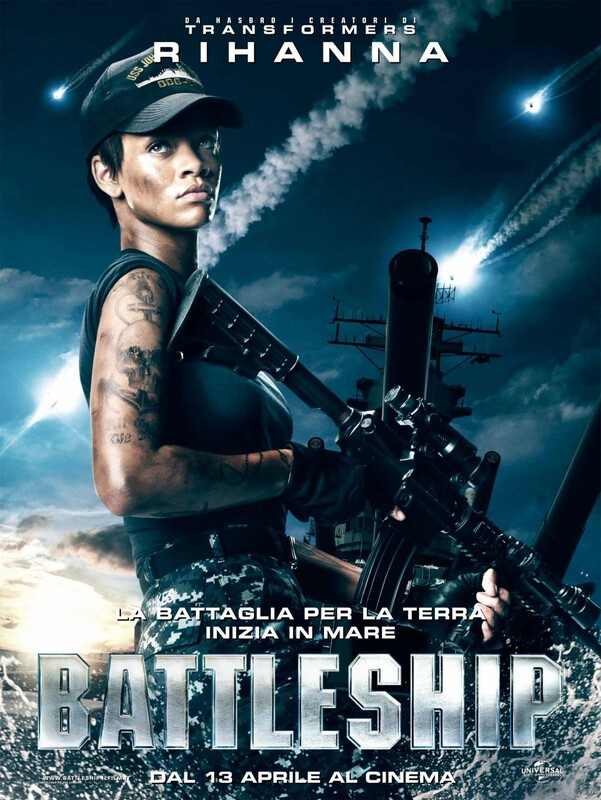 Would This Poster Make You Want To Pay To See “Battleship?” | The Cineaste's Lament. ← The Top Five, Can’t Miss Silent Films. I’m going with “No.” Sorry Rhianna. This does not diminish my affection for your deliciously disposable dance-pop, however. The folks at HeyUGuys have the rest. They are not an improvement. This entry was posted in action, Board Game Cinema, Film News, Movie Posters, Sci-Fi and tagged Battleship, Battleship movie, Hasbro, movies about board games, Rihanna. Bookmark the permalink.